Traditionally, bananas Foster is made from bananas caramelized and flambéed in rum and brown sugar, then served over vanilla ice cream. It’s delicious, but probably not an ideal breakfast. So instead, we adapted this decadent dessert for today’s pinole bowl, which features all the flavor of the original with a healthier twist. Made with pantry-staple ingredients, this breakfast is perfect any day of the year—but the flavor is anything but ordinary. 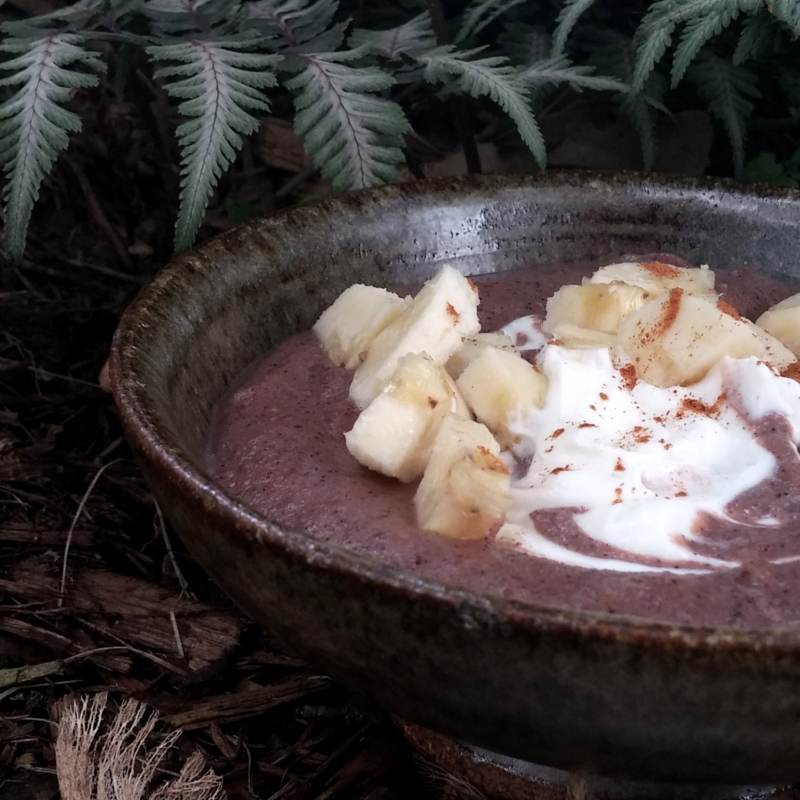 Preparation is simple: you cook up a bowl of your favorite pinole flavor, add an extra pinch of cinnamon, and then top with vanilla Greek yogurt, a drizzle of maple syrup, and sliced fresh bananas. If you want, you can broil or heat the bananas for an authentic texture, but if you’re in a rush, just cook, top, and eat. We love the comforting simplicity of this breakfast, but we’re really into the health benefits too—bananas balance your blood sugar, Greek yogurt promotes healthy digestion, and cinnamon helps prevent infections. With all that in one stop, who could refuse? So grab your pinole and a whisk, and let’s get started! Pour mixture in pot and place on stove on MEDIUM heat. Cook for 3-5 minutes or until pinole begins to boil and thicken. As the pinole simmers, slowly add in the cinnamon. When it reaches your desired consistency (for thicker pinole cook longer), remove from heat and allow it to cool for a moment. Pour it into your favorite breakfast bowl and swirl in the Greek yogurt. Top with banana slices and maple syrup and enjoy!! Have your own ideas for a delicious and healthy pinole bowl? Snap a photo and tag us on Instagram@PurelyPinole for a chance to be featured on the Purely Pinole blog, Facebook, or Instagram accounts. We can’t wait to see your creations!